Lazer Magneto: Magnets Mayne. Magnets! Last year I raced a Summer cross race and it was so awesome that I decided to race one in the Spring. At Sea Otter. 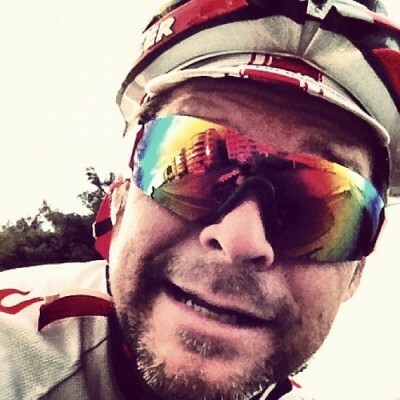 Yep…and doing so in our new jersey, on a Redline, and wearing these Lazer Magnetos. How could I possibly feel worse than in a cross race that’s 3 months early? Cross is a Fall/Winter sport. By racing one that’s 6 months early! But remember the Bike Hugger racing motto. It’s better to look good, than feel good. Speaking of looking good, while I dig the magnet glasses for their Randy Macho Savage, snap into a Slim Jim aesthetic, the women of Hugga HG not so much. So we’ll see what the fans says and how I roll through the fan gauntlet in the beer garden and grab the beer. The Magnetos now ship separately from the helmet with the magnetic dots and lens kit selling for $99.00 at your LBS. We saw them at Press Camp, but they weren’t released yet and will report how they work at Sea Otter after the race. 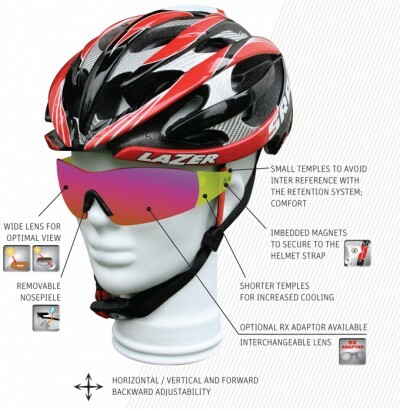 Lazer’s product designers achieved their goal of making eyewear more outlandish than the Jawbones. That’s for sure.